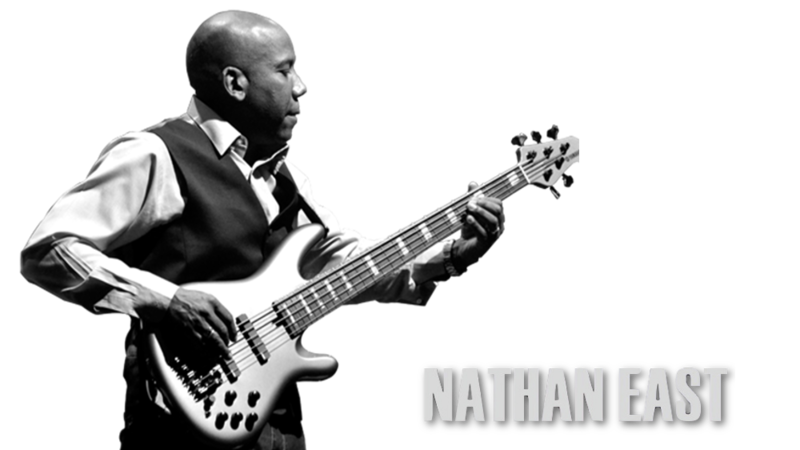 Nathan Harrell East is a jazz, R&B and rock bass player and vocalist. East holds a Bachelor of Arts degree in Music from the University of California, San Diego (1978). 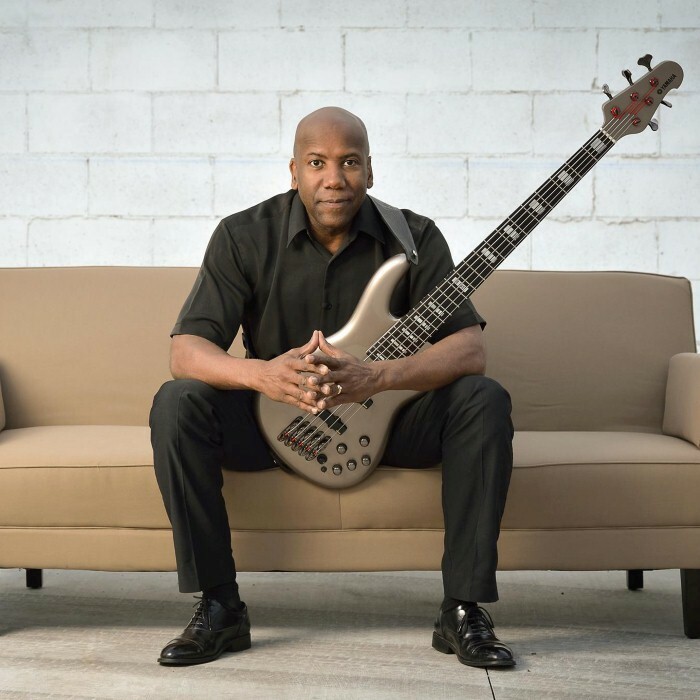 He is a member of smooth jazz quartet Fourplay and has recorded, performed and co-written songs with performers such as Eric Clapton, Joe Satriani, Phil Collins, Stevie Wonder, Toto and Herbie Hancock. East has recorded, performed and co-written songs with Anita Baker, The Love Unlimited Orchestra, Babyface, B.B. King, Eric Clapton, George Harrison, Elton John, Michael Jackson, Stevie Wonder, Savage Garden, Sting, Quincy Jones, Al Jarreau, Kenny Loggins, The Manhattan Transfer, and Herbie Hancock. He composed the music for the Number one hit song "Easy Lover" for Phil Collins and Philip Bailey. He performed on the Grammy Award-winning Unplugged album with Eric Clapton which featured the classic song "Tears In Heaven" (1992). East, a long-time member of Eric Clapton's studio and touring bands since the early 1980s also played on Clapton's "Change The World" which won the Grammy Award for Song of the Year in 1997. Other DVDs and videos Nathan appears on include Babyface Unplugged (1997), Phil Collins' "Live & Loose in Paris" (1998), Eric Clapton's 24 Nights (1991), One More Car, One More Rider (2001), Crossroads Guitar Festival (2004), Fourplay "Live in Cape Town (2006), Andrea Bocelli's, Vivere Live in Tuscany (2007) and David Foster & Friends (2008). East was invited to play at We Are One: The Obama Inaugural Celebration at the Lincoln Memorial in Washington, D.C. in 2009, with a cast of luminaries of all genres of music. East is one of the original members of the contemporary jazz group Fourplay, along with Bob James (keyboards), Lee Ritenour on guitar (later replaced by Larry Carlton and Chuck Loeb) and Harvey Mason (drums). Their Grammy Award-nominated albums have earned platinum status, and have topped Billboard's contemporary jazz charts. In early 2010, East was invited to join American Grammy Award-winning rock band Toto on their reunion tour to benefit member Mike Porcaro, who had been diagnosed with amyotrophic lateral sclerosis (ALS). Another tour took place in the summer of 2011 with East once again playing. He was also on tour with TOTO 2012 again in Europe. He is listed as member on the official site of Toto for the 35th tour in 2013. East has received a range of awards from music industry associations including The British Academy of Songwriters, Composers & Authors most prestigious Ivor Novello Award for co-writing the Collins/Bailey classic hit "Easy Lover", Most Valuable Player (bass category) at the International Rock Awards and three time Bassist of the Year at the U.S. National Smooth Jazz Awards, N.A.R.A.S. MVP (bassist), ASCAP Awards for most performed work. In 2007, Nathan was honored by the United States Congress and awarded a Congressional Record for his contribution to the worldwide music community.